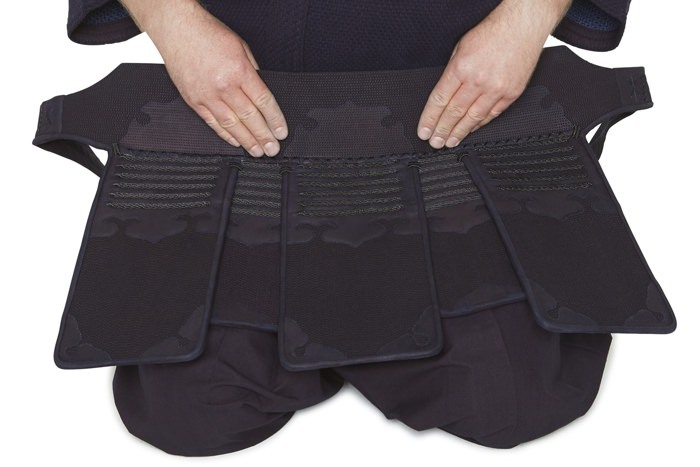 Putting on the Tare - Putting on the Tare - kendo-sport - Der kompetente Kendo-On­line­shop. 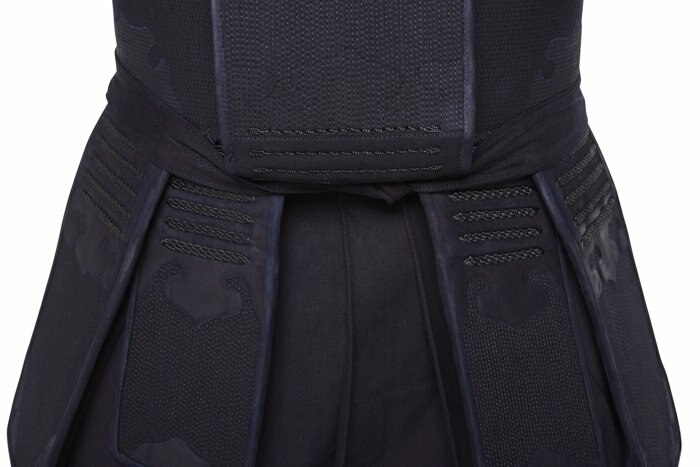 1.When putting on the armour, sit properly in the Seiza. 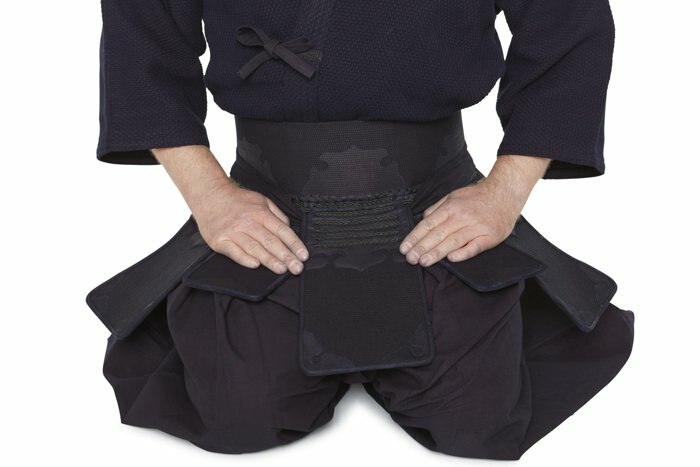 The Shaino should lie to your left, parallel to your body; the Men, on the Kote, to the right of your knee; the Do and Tare should be set up in front of you. 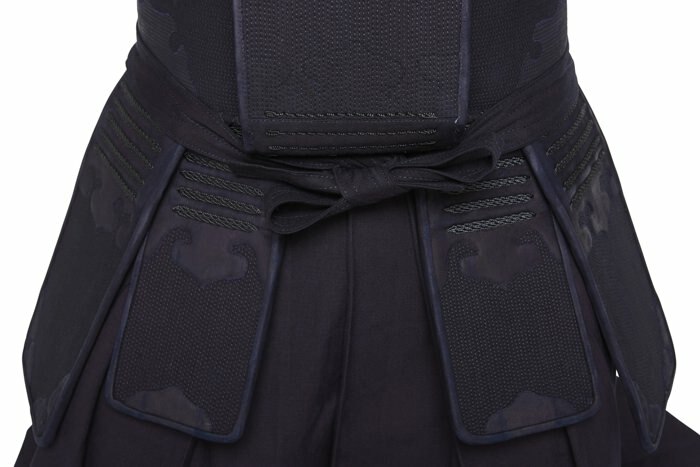 2.Place the front Tare band below your belly button, cross the bands behind your back, along the back Hakama Trapezes. 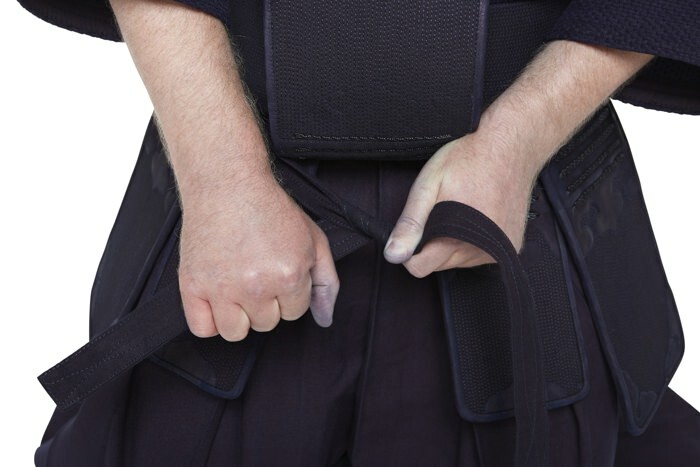 3.Then guide the bands to the front, and fasten them with a knot and loop under the mid apron flap. 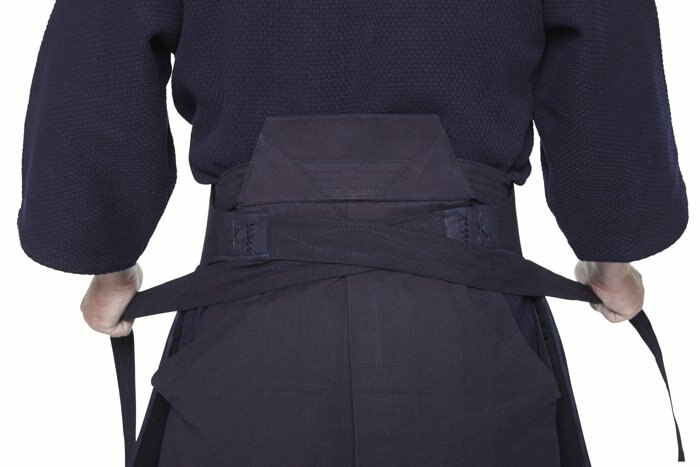 4.When the apron is flapped down, the bands should not be visible.